This week Hog Roast Hornby were at a local authors book launch. Claire had been a client of ours in the past and so when the opportunity arose for her to choose a caterer for her big day she instantly knew that she wanted Hog Roast Hornby there. Having been working on her new book for the last five years we had only ever known Claire to be stressed about finishing the book and so it was really great to be asked to attend her book launch and see it all come together. As much as we might have liked a book about cooking the book was actually a self-help book about how you need to forget other’s opinions and just strive to be the best you can be for yourself. The team at Hog Roast Hornby all received a free copy for helping out and I have to say it really is worth a read! With approximately one hundred guests in attendance we were all cramped inside the small bookstore which meant Hog Roast Hornby had to set up our stand outdoors for health and safety concerns. Usually we are able to cater both indoors and outdoors so long as there is adequate ventilation, but with lots of people, a small confined space, and lots of flammable antique books around we thought it best to stay outside! We were preparing a simple Hog Roast Hornby sandwich menu. This includes a slow roasted hog served up on freshly baked bread rolls, with layers of crispy crackling and topped off with our chef’s homemade apple sauce. Claire decided this would be the ideal menu as it meant everyone would still have one hand free to read her book whilst they ate! Congratulations on your book Claire, we can’t wait to read the next one! 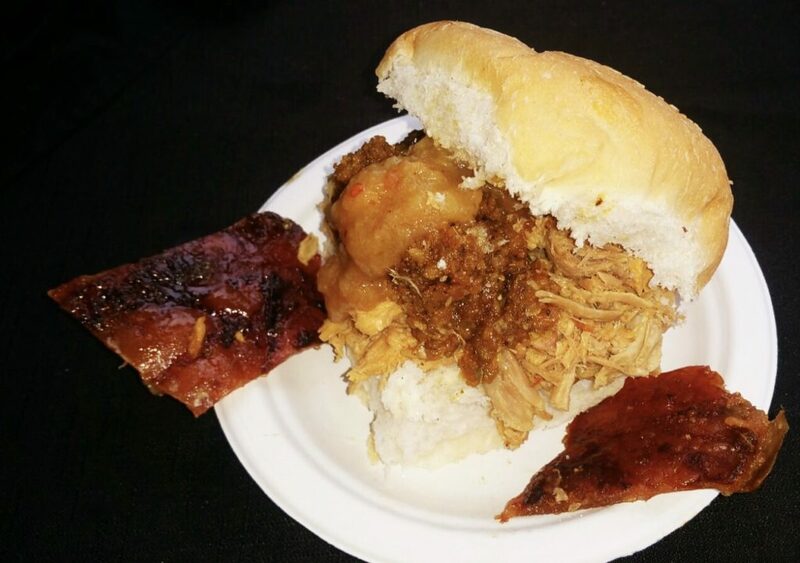 Hog Roast Carlisle – Corporate Catering for a Company Expansion!